Having grown up his entire life in and around the financial services industry, Eric knew from an early age that after college he wanted to become a Financial Advisor. In 2002 Eric graduated with a Bachelor of Business Administration degree with a concentration in Finance from The George Washington University. 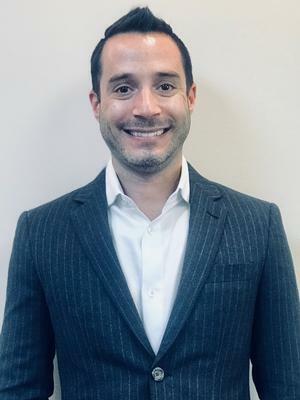 Prior to graduation, Eric interned at a regional broker/dealer and a national wire house before beginning his professional career with Financial Capital Group, LLC. Eric is dedicated to helping clients achieve financial success by developing customized strategies designed to help clients grow and protect their assets. His personalized approach is based upon objective advice, in-depth analysis, high quality service, and conscientious financial management. Eric is authorized by the Certified Financial Planner Board of Standards to use the CFP® certification mark. Additionally he has also acquired the Chartered Financial Consultant (ChFC®) designation and the Chartered Life Underwriter (CLU®) designation from the American College of Financial Services. Eric is an Investment Advisor Representative with Ameritas Investment Corp. (AIC) and is FINRA Series 7 licensed (General Securities) and Series 66 licensed (Uniform Combined State Law). Additionally he holds a Life, Disability Income, Long Term Care and Health Insurance Producers License. In his spare time, Eric is actively involved with the Jewish Federation of Greater Philadelphia and the Anti-Defamation League. He enjoys traveling, playing tennis and golf and spending time with his friends and family. Eric currently lives in center city Philadelphia with his wife Brynne and their dog Luke.